Fall is always a good time to create new habits, and coffee chains know this. These days, they are desperately trying to find any excuse to get you to drink their java. 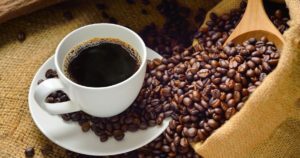 Many chains are using National or International Coffee Day as a reason to offer their coffee at a discount, or even for free – with some conditions of course (International Coffee Day was October 1). For restaurant operators, there is no better hook than coffee to get repeat business. Great scheme, as it seems to be working for some. But given what is on the horizon, however, offering free coffee may no longer be an option for businesses. Coffee demand around the world is shifting. Europe still accounts for almost one third of the coffee consumed worldwide, but China has doubled its consumption in just the last 5 years. As for Canada, numbers remain robust as more than 90% of adult Canadians drink coffee. Another probable factor is the fact that several recent studies suggest coffee is a healthy choice. Either way, demand is strong in most Western countries, which puts more pressure on coffee-producing countries. Coffee is the most traded commodity in the world, after oil. Coffee is grown in over 60 countries and allows 25 million families worldwide to make a living. Brazil is by far the largest producer, followed by Vietnam and Colombia. Globally, 2017 could be a record year, as the world will likely produce well over 153 million 60-kilogram bags of coffee. (USDA, 2017). Coffee futures are down as a result, but we are far from seeing a bumper crop. Production has been modestly shifting over the past few years. With good rainfalls in Brazil and favorable weather patterns in other regions of the world, Mother Nature has so far spared coffee growers, but their luck may be running out. Despite not being a staple in any diet, coffee is big business. At farmgate, the sector is worth over $100 billion US. At retail, the coffee industry is worth $10 billion US. But there is growing consensus among experts that climate change will severely affect coffee crops within approximately the next 80 years. By 2100, more than 50% of the land used to grow coffee will no longer be arable. A combination of effects, resulting from higher temperatures and shifting rainfall patterns, will make the land where coffee is currently grown unsuitable for its production. According to the National Academy of Science, in Latin America alone, more than 90% of the land used for coffee production could suffer this fate. It is estimated that Ethiopia, the sixth largest producer in the world, could lose over 60% of its production by 2050. This is only a generation away. As climate conditions become critical, the livelihoods of millions of farmers are put at risk and production capacity is jeopardized. Other potential contributors to this predicted downfall are pests and diseases. With climate change, pest management and disease control are serious issues for farmers who cannot afford to protect their crops. More than 80% of coffee growers are peasant farmers. Pests and diseases will migrate to regions where temperatures are adequate for survival, and most farmers won’t be ready. Many will simply choose to grow other crops less vulnerable to climate change. Others may attempt to increase their coffee production, but the quality will almost certainly be compromised. Higher temperatures will affect the quality of coffee. Higher-quality coffee is grown in specific regions of the world where the climate allows the beans to ripen at just the right time. Arabica coffee, for example, which represents 75% of world coffee production, is always just a few degrees away from becoming a sub-par product. This will undoubtedly affect coffee prices and quality for us all. Thanks to the “Starbucks Effect”, the quality of the coffee we are now getting across the board is much superior to that of just a decade ago. Good beans may become more difficult to procure in the future. Right now, coffee futures are valued at $1.28 per pound and are being exposed to downward pressures. At this rate, the record price of $3.39 per pound, set in 1977, could return in just a few years. The coffee wars we are seeing are not just about gaining market shares and getting consumers hooked on java. They are also about how we connect with a crop that is under siege by climate change. Short of fighting climate change, we could be forced to alter our relationship with coffee. As current producing countries attempt to develop eco-friendly methods and embrace sustainable practices, Canada could be the next country where coffee is actually grown, not just roasted. Within the next decade, with climate change and new technologies, producing coffee beans could be quite feasible in Canada. After all, if Elon Musk thinks we can start colonizing Mars by 2022, why can’t we grow coffee in Canada? So, if a coffee chain is offering free coffee, take it. It won’t be long before coffee could become a luxury. Okay, you may still be able to get free coffee, but not be the good stuff you’re getting now. SYLVAIN CHARLEBOIS, Dean of the Faculty of Management, Professor in Food Distribution and Policy, Dalhousie University.